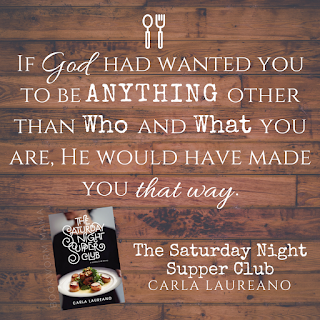 That is the FIRST great thing about The Saturday Night Supper Club. My mouth was watering almost every single time I started reading. Every chapter is filled with delicious descriptions that made me want to jump on the next plane to Denver and try these fabulous food trucks for myself! This story not only contains quality food references, but also a quality and genuine spiritual journey for both Rachel and Alex. It was tender and yet agonizing at the same time to watch them dance around their feelings for each other. I completely SWOON over Alex and his gentle and adoring way with Rachel. Rachel's stubbornness, authority, and strengths coupled with the pain and sorrow of her past...makes her a woman that anyone would admire and look up to. However, opening the door to her heart to allow others to see her in her most vulnerable place, is not easy...I don't think that is an easy thing for anyone to accomplish. Yet the results of being free in who God created us to be and letting the events of our past to shape us into the person we are today...are stunning. I love, Love, LOVE this story. From Alex's sister to Rachel's best friends, each person has a rich and real character. The emotions that Rachel feels, the love that Alex shows, the depth of care that God shows, takes my breath away. 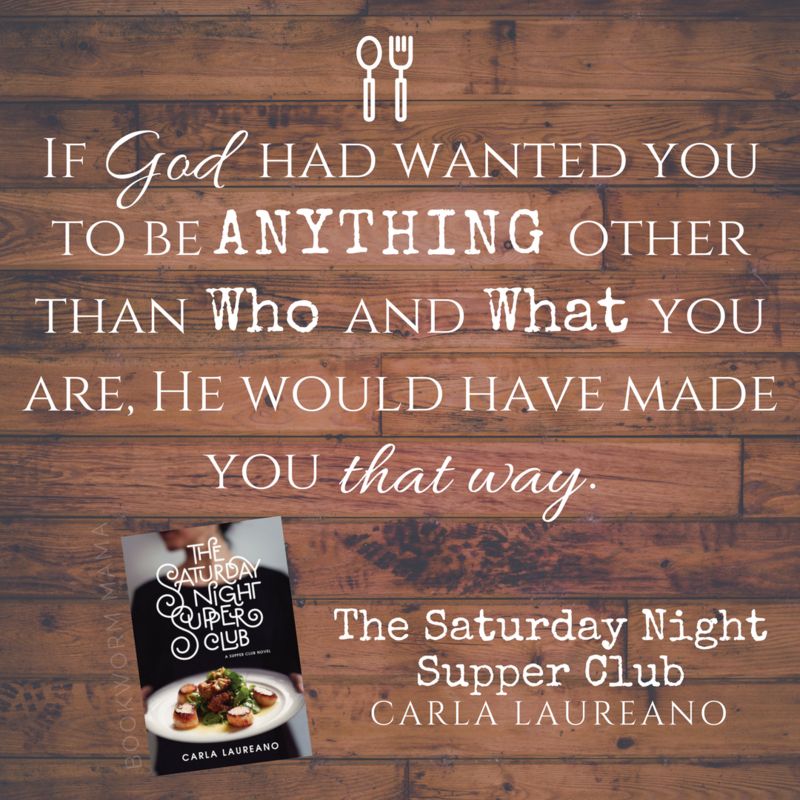 Because I have seen God work in crazy, mind-blowing ways in my own life. This may be a fictional book, but the stories are ones that we can relate to. Stories that we see around us every day in the real world. Do not let man dictate who you should be, but let God mold you into the person He created you to be. 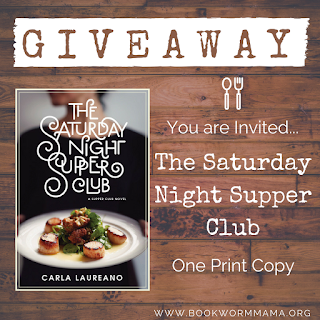 I received a complimentary copy of The Saturday Night Supper Club. I was not required to write a positive review. All opinions expressed are mine alone. Thank you for your wonderful review on "THE SATURDAY NIGHT SUPPER CLUB". 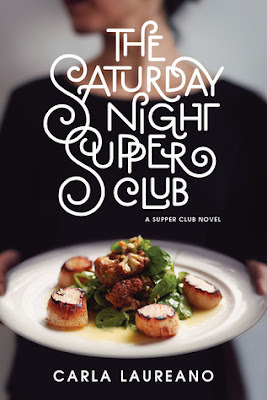 Definitely have this one on my TBR list and can't wait for the chance to read it. How fun, thank you! 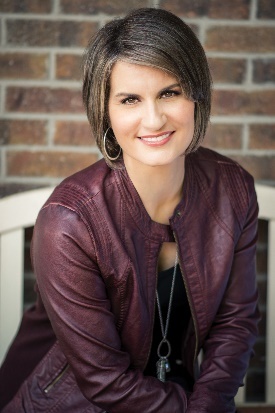 This is a new to me author, and her book sounds really good. Thanks for the chance to win! Oh and favorite cuisine is Italian. I married into an Italian family and love the traditions. We make home-made ravioli every year for Christmas Eve. Delicious! Make sure you enter via the Rafflecopter form please. Oh my goodness! Me TOO!!!!! I love eating Italian cuisine as it's just so delicious! I have a lot of favorites but I guess good old American is my favorite!! Can food count as a cuisine? LOL...seriously I just love to eat! I have many favorite ethnic tastes in food, from Mexican to Chinese and anywhere in between. And let's not get started on dessert....HA! 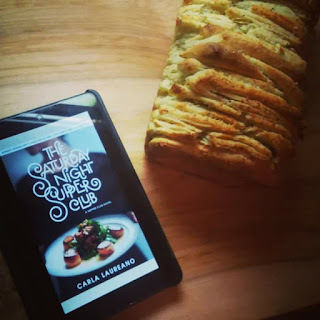 Book sounds fabulous & delicious! Um, does Tex-Mex count? While I appreciate finer dining, I could eat tex-mex every day of my life and be perfectly satisfied!